You may have noticed (I hope you have) that I haven’t posted to the blog this week. That’s because I’m feeling sorry for myself. 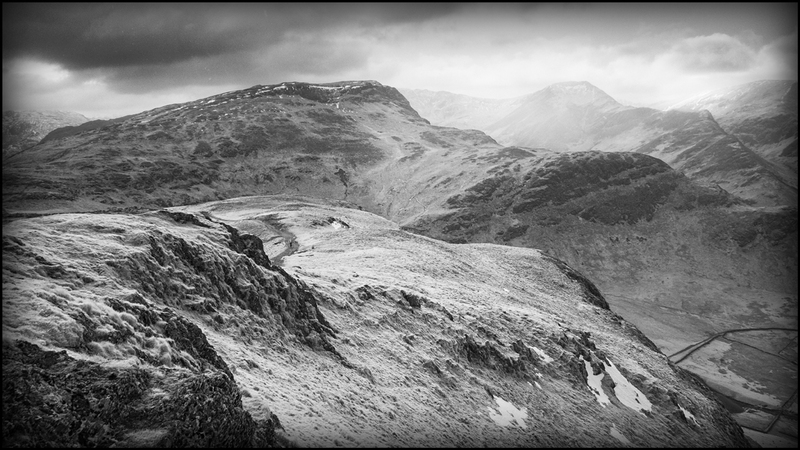 I shot the picture above at the weekend from the summit of Cat Bells in the Lake District. The mountains ahead are one side of the Newlands Horseshoe which was my target for the day. It’s a wonderful circuit that I have done many times and the recent snow flurries made me all the more excited. On this occasion it wasn’t to be however as my wife started to feel unwell. Turns out she had the flu which I then caught. I thought I could work through it on Monday but I couldn’t and I have spent the last few days laid up in bed feeling dreadful (I can’t remember ever having felt worse). I will have to cut this post short as I need to get some rest again. I can’t wait to feel better and get out with the camera. I hope you & the wife are feeling better soon & things return to normal service. That’s what comes of dragging your wife out on to a windy snow covered mountain so you can take photos & she can carry all your gear!!!!!!!! Thanks Paul, now on the mend but I have put my back out with all the coughing and sneezing. Hopefully I should be fit again in a few days.